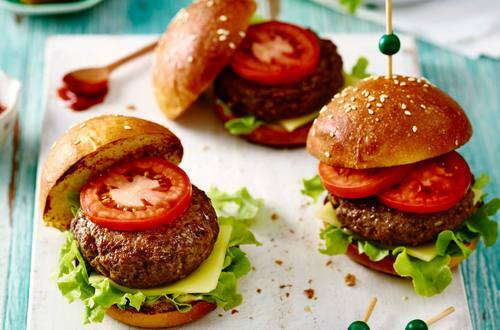 This is the ultimate burger recipe if you’re looking for minimum effort and maximum taste! They are sure to be a crowd pleaser at your next BBQ or as a quick mid-week dinner for the family. 1 Place mince, Soup Mix and egg in a bowl and mix well. 2 Form into 4 burgers and pan fry or barbecue for 4 minutes each sides until cooked through. 3 Serve on a toasted bun with cheese, pickles, tomato, lettuce and tomato sauce, and secure with a toothpick or small bamboo skewer.